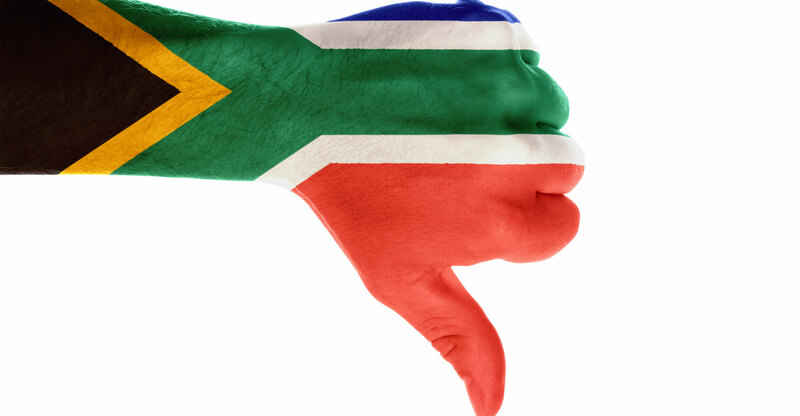 South Africa has been placed alongside countries such as Peru and Pakistan on a “watch out” list of nations that are failing to rise to their digital potential. More than 170 indicators, including mobile broadband penetration, intellectual property laws and anonymised Mastercard data were used to rank 60 countries as of 2015, and to show how far they’ve progressed since 2008. The digital economy ranking, called the Digital Evolution Index 2017, was conducted by researchers at Tufts University in partnership with Mastercard. South Africa is placed 43rd on the list, behind Jordan, Bulgaria and Thailand and ahead of Colombia, Indonesia and Brazil. Despite its low ranking, South Africa still placed ahead of the other five African countries surveyed, Kenya, Egypt, Nigeria, Algeria and Cameroon, which placed 52nd, 54th, 55th, 57th and 58th respectively. “Countries such as South Africa, Peru, Egypt, Greece and Pakistan face significant challenges, constrained both by low levels of digital advancement and a slow pace of growth,” the researchers said. The research identified Singapore, the UK, New Zealand, the United Arab Emirates, Estonia, Hong Kong, Japan and Israel as “digital elites characterised by high levels of digital development and a fast rate of digital evolution”. “With momentum and innovation on their side, these ‘standout’ markets exemplify the sweet spot of advancement and future growth”. 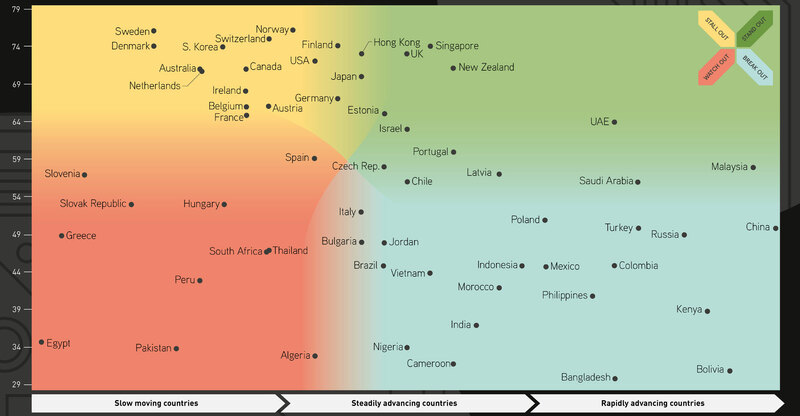 The index measured four key drivers and 170 unique indicators to chart each country’s respective course. Norway, Sweden, Switzerland, Denmark, Finland, Singapore, South Korea, the UK, Hong Kong and the US make the top 10 list of advanced digital economies, “but given the current pace of innovation and change, being an advanced digital economy today doesn’t guarantee that status tomorrow”, the researchers said. I’m always a little sceptical when a new one of these pops out of the woodwork. There are so many of them flapping around these days, many more than the three chosen by the authors to benchmark themselves against. All suffer from problems with the quality of the underlying data, as the authors acknowledge. Choosing a small sample of 60 countries, as they do, does make it easier, but leaves most of Africa out. And having over 100 indicators, as they do, compounds the problem, and introduces issues of double-counting and covariance (which the authors do address). But the real problem lies in the choice of the “four drivers”. Why those four? And what are they driving? What are the impacts and outcomes for top-scoring countries like Korea and Sweden? Where is the research demonstrating that these four areas are key, and showing just how they make a difference?